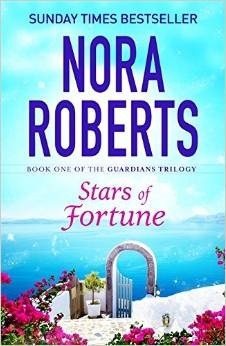 Review: I have to admit that I haven't read any of Nora Roberts' previous trilogies. I know they have a lot of fantasy and paranormal in them but given that I never read this kind of genres these days, I never had any interest in picking them. But lately I have read some books by Nora, both her romance books and her crime books, and really enjoyed them and I decided to give this new trilogy a go. I was a bit skeptical at the beginning, as magick and mythological creatures play a big role in the story, but as soon as I got into the story, I really enjoyed it. This being the first in a trilogy, it is quite an introductory read. We get to know the characters, although you never know what can come next as several major secrets, about who they really are, are revealed during the story and some really took me by surprise. I really liked Riley, the strong and smart archaeologist. Her secret about her identity was the one that shocked me the most as I didn't expected it at all. But it certainly added a new dimension to the story. As per the others, they all had their moment in the story but I was really curious about Annika, the naive girl who seemed to come from another era. This story has certainly picked my curiosity and I am already looking forward to the next book in this trilogy. I now understand why Nora's trilogies are so popular. 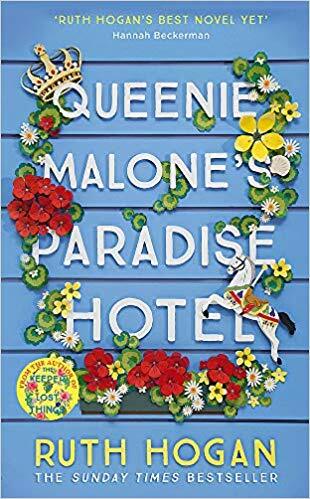 Actually, I had read some reviews that said this one had a lot of similarities with her previous stories, but as it was my first that didn't really bother me. Stars of Fortune has more fantasy than I first expected, which turned out to be a nice surprise as I found myself really invested in the story, always wanting to know more. Plus, I liked the ancient mythology line. This just confirms me that Nora Roberts is a woman of many talents. Her style works in many genres but keeps her essence. There's also romance in the story and it fits well, it doesn't seem forced or gets in the way. All in all, a very intriguing start to this series.